You mentioned that the Reversible Black/Red candles should have the Black part on top and the red on the bottom so that the negativity is burned away first. However, you did not make the same distinction with Green/Black candles, which shows the Green on top…why is that? Wouldn’t it be best to remove the negativity first via the Black so that the Abundance (Green) could come in full force? 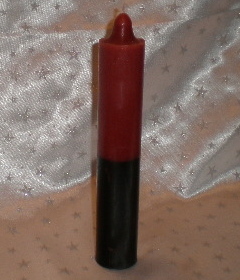 This candle is intended to cut off the tip at the tip of the red wax, carve out the wick from the bottom of the black wax as part of the ritual of reversing. 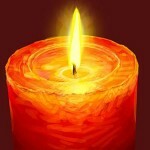 The candle is them cleaned with lemon juice or Florida Water, then oiled with Reversible Anointing Oil and lit.The same thing could be done on and free standing Green and Black Reversible Candle. 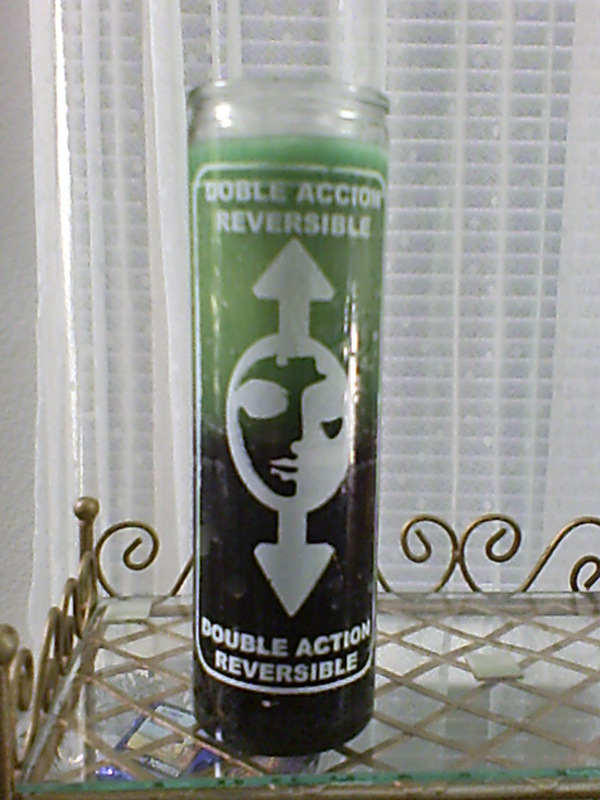 I have learned that the Green and Black Reversible Candle in its original intention, is to jinx someones money. 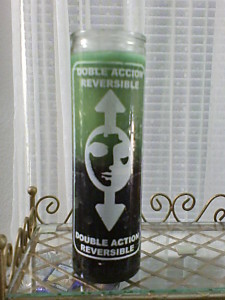 This means you burn the green off first, with the intended victim’s name under the candle, then jinx or cross them up financially by burning the black part of the candle. 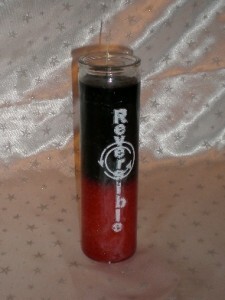 This is the traditional way to use the Green and Black Glass Reversible Candle. The spell I wrote and posted recently,Green and Black Candle Spells for Banishing Debt is my “twist” on bringing in money (by burning the green first), then banishing the bill (by using said money on bill, which is placed under candle). 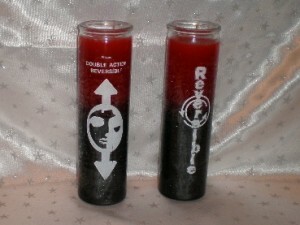 My intention (which is a big part of candle burning spells) is INTENTION, and that is to get rid of a bill. You may use this with a creditor or debt collector. This is not intended to send them away to leave you be, but to address the inflow of money to attach specifically to this bill. 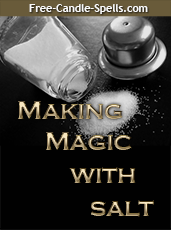 This is why I do it the last three days of the waxing Moon (meaning getting larger), so that it will bring in that last bit of money magic of working with the Moon so that I can immediately send OUT the payment on the bill. Does this get rid of the bill? No, only by you paying it off, it will get rid of any bills or debts that are overdue. Hope that explains thing for you and thank you for the good question!